I have an ex lover. When we were together I fed this man my blood. My ex lover is still stalking me. Luckily we're a country away but he still manages to harass me. We've been broken up since March and a week ago he sent me a picture of a tattoo he just got of my full name and birthday very large on his arm. Well, I got pissed and I decided I wanted him to suffer a bit as he's tormenting me emotionally and I called on the Intranquil spirit as per directions on the Lucky Mojo page. I also did a Tobacco prayer to the Seven Infernal Spirits which I got off the web. I reworded all the prayers so it wouldn't involve love, just torture. After finishing the spells I did a cleansing hyssop bath with holy water from Juiquilla in Santiago de Querétaro, Mexico, and Florida water, and I recited Psalm 51. 1) My target has claimed lack of sleep, and is desperately wanting me to go back.He broke the other day and told me to leave him alone (I haven't been contacting him) saying that I'm driving him insane. Is this a sign it's working? 2) I'm guessing I messed up.The problem is that I too am experiencing lack of sleep, restlessness and general sadness over nothing. Is the fact that i fed him my blood the reason why I'm feeling side effects? 3) Perhaps my cleansing was not sufficient. What further cleansing is recommended specifically after using Intranquility supplies? 4) Is there anything else I can do to remove the effects on myself? 1) Yes. You have achieved your goal. He is feeling tortured. Now thank the sprits and stop this sort of work. 2) It is not feeding him your blood that is the problem; it is the fact that the Intranquil Spirit is a risky and reckless spirit to work with and often (OFTEN!) traps the people who seek help. And the Seven Infernal Spirits are demons. Like many before you -- not heeding my constant warnings -- you reached out to wretched and terrible spirits -- and you got played! I noticed that in April 2018 you told Sister Jean that you had burned a black skull candle with needles on this ex and when it was finished, you posted, "I will be burying it at my grandmas grave and asking her to bind him" -- and later in the same month you posted that you had indeed done that, which is great. I noticed also that in May 2018, you had posted, "My ex is a dangerous manipulative narcissist and I'd like to use restless oil in combination with a piece of string I uh personalized and a black candle and goofer dust to prevent him from doing what he did to me to anyone else." That is the kind of spell i prefer, because it does not involve tying your desires to the invocation of unpredictable spirits. Did you ever use those products? I am not asking you to add them now -- i am just curious as to why you chose to work with evil spirits if this other (safer) approach was already known to you. 3) Your cleansing was fine. Having fed him your blood was fine. Your grandmother was fine. The trouble is that you also called on evil spirits, and the evil spirits just grabbed you, that is all. 4) You will need to do some specific work to rid yourself of the Intranquil Spirit and the Seven Infernal Spirits. This is exorcism work. A cleansing will not be enough. You are very welcome, stillsosola-- and take care. Hi. I have a question about Intranquil Spirit. Am I right in believing that it's kind of the first step in messing with someone? Like with Anima Sola and DUME (I'm forgetting one)? Short answer to your question: No. Please take time to read our web pages about these three product lines and you will understand the differences between them. Italian Catholic in origin, as signified by official Vatican-approved Holy cards; it relates to the releases from Purgatory authorized by the Virgin of Mount Carmel. Mexican Catholic in origin, and not Vatican approved; although the belief is based on Catholic concepts of an extended Purgatory after death, there are no holy cards for this spirit, and the traditional image used is that of a God Almighty attending the weighing of souls and a judgement based on the deeds they performed in life; it is basically the Mexican Folk-Catholic analogue to the secular African-American Restless Oil. African-American and secular in origin; it relates to a death-curse, in which DUME is a pun on "doom" and it makes no reference to any after-death state, although in Protestant Christianity there would be a presumption of a Judgement, with the dead souls going either to Heaven or to Hell; there is no Purgatory in Protestant Christianity; it is used in the same manner as the secular African-American Jinx, Crossing, Destruction, Goofer Dust, Damnation, and other products of that kind. In no way do these ideas form a series of "steps." Hi so I cleansed myself, my home and confessed and got deliverance at church after invoking the intranquil spirit, I'm fine I'm sleeping well and in general am feeling better. But my target recently messaged my husband stating he's going to have us killed because he's still being tormented and a curandera said it was me who did it. Anyways I've asked on the proper threads for protective help about that now what I'd like to know is there anyway to call off the spirit? Like thanking it and asking it to leave the target be? I'm feeling if the torment stops he will stop or should I let it go and just focus on protecting us from any revenge killing ? Thank you Miss Cat. I definitely misspoke. What I really should have asked is about Intranquil Spirit (since it makes the person miserable until they return to you) and Santisima Muerte (the one I forgot; makes someone love you until they die). To me it seems like a one two punch in getting the one you love to be with you forever. I apologize for the mistake. At times I am on here for hours and am exhausted by the time I post. I replied to you about your protection question; I hope you look over that post. I think you should pray directly to God to "call off" this evil spirit. Dress a white candle with holy oil and pray, thanking the Intranquil Spirit for its aid and asking that it move on. Then pray to God to firmly "call it off." I have a certain situation that I am not sure about. I feel like the use of IS would be helpful but I would leave it to the professionals at MISC as I am not proficient enough to handle it myself. There is a man I have liked for some time - we never got to be in a relationship due to horrid timing, always just missing each other so to speak- now he is currently moving to take a new job and be with an ex (who is a cheater etc) i was wondering if the use of IS would help my situation even though we were never IN a relationship. I have been using other types of work on him but I feel IS may be my best choice. I just dont quite kniw if it would work on this...... how does the target ‘know’ that they will be unhappy unless they are with you? What if they think of someone ELSE? sharing my story: I had a run of 3 lit by deacon millett (he says he calls upon a specific spirit), then i lit 2 candles myself (used restless oil and follow me boy oil all from lucky mojo, said prayer with crucifix) to attempt to bring back a man i dated for nearly 3 years.. i waited probably close to 2 months and never heard from my target (the longest we ever went without speaking). During my wait, all candle reports were positive/working in my favor...(emotional upheaval present, powerful feminine presence may give a new perspective.. and things may come together). I also got a card reading from another AIRR member during my wait [because I believe in getting readings from someone who did not perform the actual work, a complete unbiased opinion] who said: he does care about me, he will return to me, he has been drinking a lot and that may be interfering with his decisions.. but she was unsure if the candles had anything to do with his feelings/the cards pulled because we should have seen signs from him directly since "the intranquil spirit is supposed to be very strong and its hard to resist its torment".. Anyway, after waiting nearly 2 months for him to contact me, i ended up reaching out to him.. even though the break up was his fault completely.... which didn't make me feel good at all [my pride/ego]. But, I didn't want to wait any longer, as I know the longer you go without speaking, the harder it is to fix a relationship.. I was **hoping** the intranquil spirit would torment him and make him miserable, and torment him with thoughts of returning to me [because he is so stubborn, I thought I needed something strong/coercive to bring him back], and THEN after he made contact I was planning on telling him how bad he hurt me and work some reconciliation/cleansing/healing products for the both of us, all in hopes of getting him to feel so horrible with out me that he would never do what he did to initially cause the break up ever again, and get an apology out of him.. then we could move forward together. However, that didn't happen, seeing as the plan changed the minute I had to reach out to him instead. I can't lie.. i'm a little jealous of the people on this forum who received any "help" from the intranquil spirit. i would have loved for my ex to return obsessed with me. Instead, i reached out to him, only to find out he's still the same stubborn old man.. I have since done some attraction spells for new love and money drawing to get my mind off him and just to try to move on.. [im not ready for cut and clear] and oddly enough I had no problem attracting tons of men [none really caught my eye though] and I have had a lot of money come my way too [that sort of cheered me up lol].. But just thought i'd share my story, not every spell works for everyone, and it seems like the intranquil spirit was one of the spells that did not work for me. I have decided against IS. I just don’t feel comfortable with it at all even though i was planning to have a worker cast the spell for me. Instead I will try other methods especially since I wasn’t in a relationship with him yet. As one of those whom the Intranquil Spirit does not like (and the feeling is mutual), i always take a sort of detached, philosophical view when i hear that an Intranquility love curse did not work. Thank you Miss Cat- It is not crazy, I truly appreciate the honesty you show on this forum. I am a bit nervous after having used Black Arts oil in my breakup spell now. I dont feel I was advanced enough to have used such a product & didnt do my proper research first. Is there anything besides cleansing that I have done to rid myself of any negative effects? Hi guys, long time LM customer, first time poster! ** Mrs Brown, if you don't mind.. can you tell me about your experience using the intranquil spirit (what you did, how you did it, how long).. i am interested in how YOU are working with it ..
OK so I have read the information available about the intranquil spirit on the LM site, and read through about half of the pages on here, however after awhile some of the information on here contradicts itself.. or maybe it is that people's viewpoints change overtime? not sure..
1. Why do some people advise against performing the intranquil spirit spell AND another spell at the same time and other people say it is OK? -ex: some people on this forum and some AIRR members have said it is OK to work a honey jar, but some said it is not. Which is true? -Same with intranquil spirit spell and break up work.. some say it is OK.. some say it is not. Which is true? 2. what is the difference between the intranquility spell kit and having a run of vigil lights being lit for me at the church? -I understand the spell kit would be performed by myself vs having someone else light the candle, but is that more or less the big difference? like in a sense, the same prayer is being said in the same way, with a crucifix, with the same intentions.. right? 3. Is having a vigil lit any less "potent" than utilizing the spell kit myself? because it seems like the spirit is still being petitioned either way.. right? Hi thelight1. I did a reading today and was advised to release the IS. I'm sorry that I can not be more helpful. 1. There is no set rule of yes you can or no you cant. The point most workers are making is that you are doing something to torment them then at the same time love work, it sends a mixed signal. Also the Intranqulity spirit is not a love spell it is actually a curse on your ex lover. If you do not talk to them again they will be tormented a long time. That being said a worker who does a reading for you may find in the reading that the spirit will torment him back and do a honey jar so he will love you when he does. That is one reason we get readings. 2. Doing the work yourself or hiring a person is a highly empowering event that can bring you into the work and add your emotion and power into the work. You can personally pray over the spell kit each day, and monitor the candle as you learn how to read a candle yourself. The shop setting candles is great, they will light the candle set it and pray over it. When it is done burning you will get a report. I would personally advise to do your own and have the church back up your work by setting one at the same time. 3. People always ask about potent or most powerful, honestly a hate filled curse spoken with spit can be a powerful as using a candle and oils etc. Using authentic items like Lucky Mojo sells are filled with the spirit and really are what make the work. Think of it this way, you can pray to God and ask for something you really need or you can ask someone else maybe call in to a radio broadcast and ask them to pray it. That is what you are asking the difference of. It seems your question comes down to this: do I need to bother with doing a spell kit or can I just pay someone else to do it for me? you dont need to bother with a kit if you dont want to. I personally think doing the spell and having a candle set by the church is the best way to go. If i truly love a person, i would not want to set the Intranquil Spirit after that person, because i see love as exciting and magnetic yet at the same time trusting and appreciative. And when a lover or friend drops me, i tend to harden myself and form a scar over the would very quickly, and never look back. If i have been hurt and seek justice or revenge, i separate that desire for justice or revenge from love or friendship, and bide my time to seek justice or revenge as a work of its own, apart from love or friendship. But another person's decision on working with the Intranquil Spirit may be different than mine, because there are all kinds of love, and another person's feelings about how angry or painful love can be is may differ from mine, and furthermore, that other person may not move on quickly after a broken love affair, and so the concept of a lover becoming an ex-lover in that person's mind may take a long time, and during that time the person may feel conflicted emotions of love and revenge in a way that i would not. So, what i am getting at here is that there are so many kinds of emotions that various people include in their definitions of love and anger, there will be many different opinions on the matter of working with the Intranquil Spirit to torture an ex-lover. 2. I agree 100% with what j82 said. Last question: So I am completely aware about the tormenting, aware it is more of a curse and not a love spell, I read all the info available on the Lucky Mojo website, and yes that is what I want. But I am also aware there is no telling which spirit would answer my prayer, as the intranquil spirit is not one specific spirit but actually a class of spirits, SO if I did a vigil myself, AND had one backed up at the MISC Church, do you think there is a possibility that I would have two spirits tormenting my ex? Like what if one spirit answers me, then another answers the petition i made with the candle being lit at the church. Do you think that is possible? Because that is NOT what I want lol. i would fear "over-kill". The idea that "the intranquil spirit is not one specific spirit but actually a class of spirits" is something that entered the internet around 2010. I do not know it to be a traditional belief and when i was younger, i was told that this was a specific spirit. Of course, i did not know everyone who practiced Latino-influenced hoodoo along the Tex-Mex border, and, of course, folk magic beliefs are mutable and changeable, as are all social beliefs -- but what you are "aware of" this year is something that no one whom i *personally knew* was "aware of" from the 1970s through the early 2000s. Having the church light a candle for you at the same time is called backing up the work. It is not calling on a different spirit rather reinforcing the work. An example outside of this work: Think about working a love spell for 7 days, I could also have Lucky Mojo set a love me now candle to burn on the MISC altars while I am not working the spell and to reinforce it. I would use the same petition on both candles your own and the one at the church. You can also request the day to have it lit, therefore corresponding the candle with the same day you light it as well. I see, thank you for the valuable information. ps. the reason why i said i was aware that the intranquil spirit was a class of spirits, was because (in addition to using google) i have been doing my research and have inquired about casting the intranquility spell with one airr member who says he "Uses a very specific spirit", which made me think okay then there has to be more than one... in addition to all different info on this forum where some people warn that when casting the intranquility spell "any spirit may answer", which thus made me believe okay then there has to be more than one. Individuals may carry a different opinion or belief then others, some are influenced by different works or cultures as well. The info on the forum is form individuals experience or their tradition. It is not wrong to think other spirits yet its also not the long tradition. In the end you are asking a spirit of hell to come up and attach it self to your ex to torture them till they return to you, sick, virtually dead and beat. Some cases justify this work, breadwinner, you will be kicked out of the country if he dont stay, he will take your kids, person did me terrible and deserves to be tortured.. etc. Some are less justified like I want him back and its what I want. Cat mad a great point of what love is and what we want. I think many come to this spirit for work because they like the punishment aspect but also the person comes back to them. Understand just because they return under this spell does not mean they will stay. The spell is done when they return to you, the spirit is no longer on them anymore. If you have an AIRR worker continue to work with them and ask what work can be done to keep them and continue the love after the spell is done. I burned an Intranquility candle and during the burn there was a fair amount of pops and sizzles— the candle flame also began to dance/wave a little bit each time I walked away from the candle. I’m not sure why it did that ONLY when I walk off and when I come back closer to the candle it calms down and burns naturally. This is the first time that has ever happened! When a candle makes noise its a sign that the spirits are communicating with you and to listen for the message. Dancing flame can be a person resisting the work. I have had incidents when the flame is only calm by me as well. Do you burn the candle for one day or over a number of days? Are you using the 7 day novea candle for this work? Or a taper candle? Either way I would set a candle and do the prayer 7 days. If its a 7 day candle let it continue to burn till it goes out, benefit of that is it keeps the pressure on, and it will leave signs, if you put it out and relight it can make the glass smoky, the wax burn abnormally etc. OF course use common sense and burn with safety first in mind! the work is generally a 7 day job praying the novea of the candle for the spirit to go after ones former lover. I would do it 7 days. Okay. I’ll keep burning it for 7 days. I didn’t see this question on here but what are the consequences of using the intranquility spirit? I ask because I read that Miss Cat doesn’t use it, I read why she doesn’t and it makes sense could anyone who’s used it give me some feed back please. Also can I do the spell outside in my back yard? Because I don’t want to do it in my home because I have small children and I want to keep them free of that spirit. It is a spirit from hell asked to come up and torment the ex lover. Many come to this spell as a " love spell", to make the man/women come back. Its really a torture spell to make them pain, hurt, be in despair till you accept them back. If you dont? it continued to torture them, which is what makes it great as a spell to get revenge on a terrible ex who deserves it, that is if you dont take them back. The person may comeback miserable, but then the spell is over. Dont mean they will stay and move on again. I personally would not use this unless I never intended to never speak to the person again and let them be tormented by the spirit for life. You can do the work in the backyard but I am not sure if you are using a 7 day candle or tapers? Spirits are not limited to your yard unfortunately. Remember to cleanse you and your house regularly and certainly after the work. Hyssop is traditional for a physical bath. I like Chinese floor wash as a house cleanser. I am considering using the Intranquil Spirit on a guy who seriously hurt me and my feelings. I have used the spirit before with good effect on an ex partner- he never returned but was very tormented to the point he blocked me on all social media and has been unable to find love since our relationship three years ago. Ok- I have a fiancé, he is great and kind. I recently had to work away from home due to being unable to find work in our area. I met a guy I became friends with (may I just add that nothing happened as I don't condone cheating). This friend though seriously played with my feelings when he knew I was vulnerable. He gave me huge compliments, walked me home safe making out he was a great guy, I did on several occasions have to establish boundaries as the compliments and stuff became too much and this guy tried to kiss me. I felt I was going to develop feelings but still said no. Then, a new woman at work appears and he's all over er like a rash and given me the cold shoulder, been incredibly spiteful and ignoring me. My friend who works with me implied last night he's a predator. My question is- does the Intranquil Spirit only work for ex lovers or can it be for this case? This chap wasn't a lover but he did mess with my feelings when I was vulnerable. I simply want to make him feel the confusion and anguish he's caused me, to contact me again and then I throw it back in his face. Many thanks for your help. It is to make an ex love be tormented till he returns. But I would do a cut and clear bath and get over the feelings and move on. You really didnt have anything, just a friendship which he ended and is now seeking another single gal. Id more likely cross his love life up. I sense you want him to miss you and hurt over you like you do over him. You may have let this guy too close considering you have a fiance. Call it a blessing he canceled himself out of your life and didnt screw up what you have coming. I did and completed the spell but have a question - I was under the impression that you could do the vigil candle spell and once it was done, it's done/petition sent and now I wait. However after doing more reading online about it I've also read that if you don't get results within those 7 days, you need to continue lighting candle after candle until you do. Is that true? Like I said, I thought it was once and done. I know some choose to continue lighting candles, but is it necessary to keep the spirit working on the target? You dont have to continue to light candles but many people do. The idea that you do one candle and its done is not very realistic when it comes to work. Rootwork is work you need to invest and do the tricks to get the results. You can do a spell one time its on him, others maybe not. It is best to get a reading to see if the spirit will work with you. You also need to look at the prayer and will notice it takes on a novea style prayer which is done over 7 days. Many people working with saints continue to light candles till they get results. The choice is yours, I have never seen a demand that you must continue to light candles. I would strongly consider what other work are you planning to continue the work after this candle. I have an intranquility candle being burned for me as I was afraid to try it myself. As this is summoning a spirit and not a spell I have no idea what to expect. A spell I would expect to see nothing until after the candle burns then a few weeks. Is the spirit called I'mmediately or not until after the candle has burned down completely? Welcome to the Lucky Mojo forum! We're glad you have joined us. I've moved your post to the correct thread on working with the Intranquil Spirit. You can read through the posts here to learn more about this particular type of work. Any candle spell that is petitioning the aid of a spirit is calling for that assistance from the start of the spell. When or whether that spirit responds, and in what manner, is not something we can predict. Treat your candle as you would any other spell (as it is indeed a spell), and see what signs and movement you get after it is completed. If anyone here has used the intranquil spirit before does the spell end when the person contacts you or does it end only if you take them back because I did the spell and she called me but I never answered the phone and havent talked to her at all. because I dont want her back I just want her to be tormented because some peolple say it last until i take her back and some people say it ends as soon as she contacts you and like I said she called me but I didnt answer my phone I just let it go to voice mail. It was a little hard to follow your question because you wrote in one long sentence. I think I understand what you're asking. My understanding is the spell ends when they contact you. Hello all is there someone from luckymojo that i can contact to perform this rootwork for me... As ive seen from reading through the forum luckymojo has certain individuals that will perform this rootwork besides just letting the church burn candles. Thanks in advance. No, Lucky Mojo is a maker of spiritual supplis, and we do burn candles at our associated church, but we are not rootworkers for hire. Many people who want to invoke the Intranquil Spirit are loathe to do so directly and either hire MISC to set lights or hire a a rootworker to perform a spell. I suggest that you look through the list of rootworkers at the Association of Independent Readers and Rootworkers. Look into the section of the site on cursing, and click the names of those listed on that page who interest you. read their biographies and their terms of service, and select the one who seems "right" to you. Again, AIRR is not a part of Lucky Mojo in any way, but we know the folks there and support them as ethical practitioners. Again, we are not part of their directory but we do give them some free ad space here in this forum. This thread is only about Intranquil Spirit Spiritual Supplies, so we now must return to our original topic. Thank you for understanding. I had a run of intranquility candles burned for me and did the ritual myself. It's been 5 weeks. A reading confirms that he is being affected, just has a lot to break down and will take time. Here is what I haven't seen much mention of... I have very undeveloped empath skills. I loved this man fiercely. I did and continue to do cleansing. Cleansing doesn't end the mental connection. It is very strong magic and I feel it at times. They aren't my thoughts but they are brutal. Like a love spell that makes one feel warm, this gives me a nauseous, dark, panicked, obsessive feeling at times. Like a glimpse of what the other person feels in short bursts?. Be very mentally stable yourself if you have a strong connection to this person. I get blank emails from him (trying to fulfill his compulsion?) he drives by my work and home but refuses to make contact. Maybe this works for some people. In this case I feel like I'm just breaking someone and turning them into someone I would hesitate to be alone with. This is revenge which I didn't need. Just wanted to give a different perspective. The spell will affect you and the the results may not be anything you want. As you know, the Intranquil Spirit is a hell-bound entity that is highly unpredictable and should only be approached by an experienced practitioner. I have had several encounters with destructive spirits in my work, and I know how to handle them, but I personally avoid this particular spirit altogether. It is very difficult to control and, as you observed, the results may not be worth it to you in the end. Yes, it's been known to happen that someone who is performing this spell may feel its affects along the way. You are playing with fire, so it's not surprising that you might get a little singed yourself. Always cleanse yourself before and after this spell, and put up protection afterwards. That's a good general principle for any kind of spellwork, but absolutely essential in this case. Thank you for posting your experiences here. Is it ok that i have the church burn the candles for me plus hire someone else to do the working as well? Yes this is very common for people who do not want to do this type of work themselves. It is important to wear protection while doing, or having this type of work done for yourself. It would still be important for you to cleanse and protect yourself when performing this work, even if you hire someone to do it on your behalf. 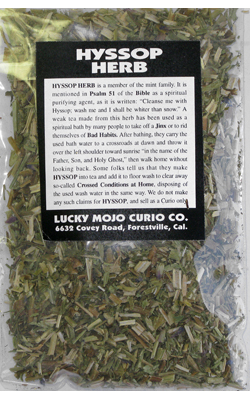 It is still you who is responsible for unleashing this spirit, so cleansing yourself with hyssop after performing the spell is needed, to rid you of the sin of this negative undertaking. Protection is wise throughout your use of this hell-bound spirit for obvious reasons. I didn't have any question about the Intranquil Spirit, just wanted to share something. I've been reading this thread, and I am only on page 16. I have some love issue too, and I wanted it to get it done right away, but that's not how it works. Last night, something really bad happened (I don't want to elaborate it) but it made me wanted to do the Intranquil Spirit prayer. I remembered from one of the posts that you can use any candle and do the spell at midnight. I set my alarm 20 minutes before midnight so I could start dressing the candle with olive oil since I didn't have the Intranquil oil, and some love oils on the pink candle. I got the prayer printed out. Before I lay down I pray to God and to the saints including Santisima Muerte to guide me. When the alarm went off I was ready, got all the stuff, set them up in the table. Then all of a sudden, something popped into my head to go back to my room. When I was there, I saw the taper candle I had for Santisima Muerte almost gone and a lot of tears, I was like, it shouldn't be almost gone cause I just lit it at 10:30 PM. Then I looked on top of my drawer where I put Santa Marta's candle. It was dimming and moving erratically. Then it hit me, they didn't want me to do the Intranquil Spirit. I heeded their warning. I went back to where I set the stuff, and put them away. I went back to my room and thank the Lord, the saints and Santisima Muerte for telling me no. Please, please before doing this by yourself always ask for guidance. I will still do it when it needed be, but I will save up and have the certified rootworker do it for me. Right now my Stay With Me spell is almost done, it did this one because I believed the situation was right for me. But there has been a lot of changes happening after I started the spell. And now, a Reconciliation kit is next on the list. You would not add love oil to an Intranqulity spirt spell, it is not a love spell but a curse to cause torment of an ex lover. It calls on an angel of hell to torture this person. It is good you listen to your spirt guides as they will direct your path.